Being a general contractor in demand is a good thing. It means that the high quality of a general contractor’s work has been established, and his/her reputation is among the best in the industry. Part of ensuring the ability to grow and sustain a successful general contractor business is having the right advocates collaborating with regulators and legislators to implement policies and laws that support the construction industry. A busy general contractor may not have the time necessary to work on these efforts him/herself, but this is exactly where the Florida East Coast Chapter of the Associated General Contractors of America (AGC) and the AGC Florida Council comes into play. As the only organization representing the interests of commercial general contractors throughout the State, the AGC provides a vital role in ensuring that commercial general contractors, in fact, have a voice at the table. A discussion of the advocacy services provided by the AGC follows. Preserving “Pay-When-Paid” clauses, without which a general contractor would be required to pay all subcontractors and suppliers, regardless of whether the general contractor is paid. Reducing the statute of repose to 10 years, and focusing on reducing it even more, in hopes of preventing a general contractor from being sued many years after a project has been completed. Facilitating the resolution of construction defect claims by amending Chapter 558 to encourage a speedy resolution of construction defect claims, and reducing the need for litigation. Improving Florida’s Construction Lien Law, by making it less complex and less costly. Opposing the local regulation of contractors, so that general contractors will not have to deal with a dizzying array of local regulations in each jurisdiction. Improving the public bid process to ensure a fair and transparent process, and expanding procurement opportunities for construction management. Working to allow the authorization for electronic building plans. Advocating to authorize private plans review and inspections, so that local building departments can outsource this work and projects are not unnecessarily delayed. Linkhorst & Hockin, P.A. 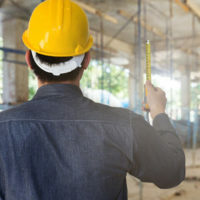 represents general contractors in a variety of construction law claims, and is squarely in support in furthering the interests of general contractors with decision-makers. To that end, Adam Linkhorst is the General Counsel for the AGC, and truly understands the issues that matter to general contractors today. If you need assistance with a construction law matter, or want to tap the legal arm of the AGC, contact the Jupiter law firm today for more information.